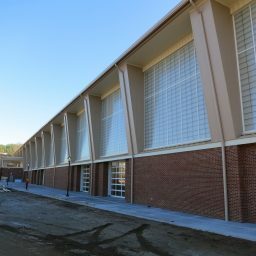 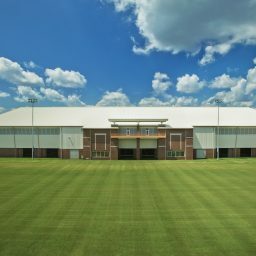 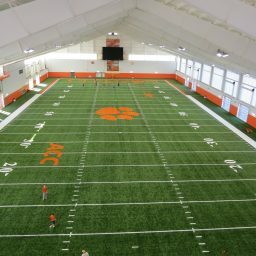 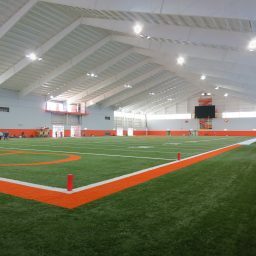 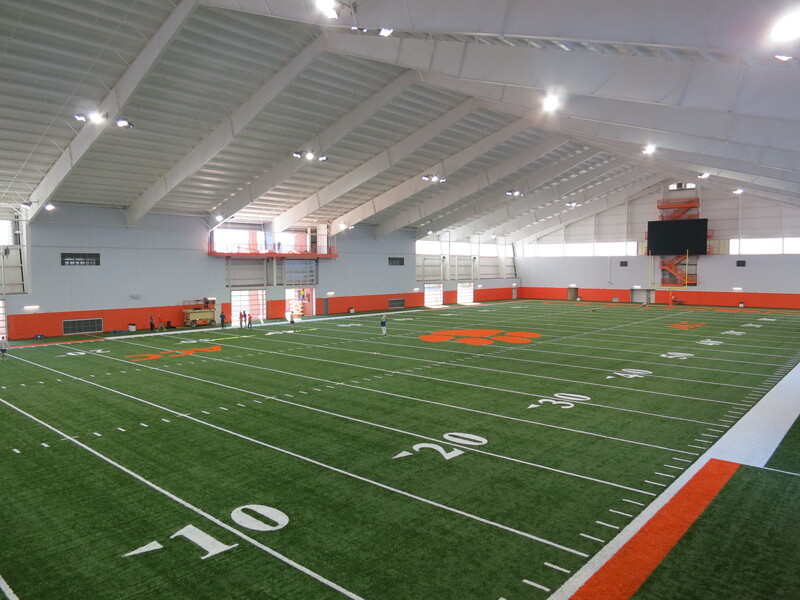 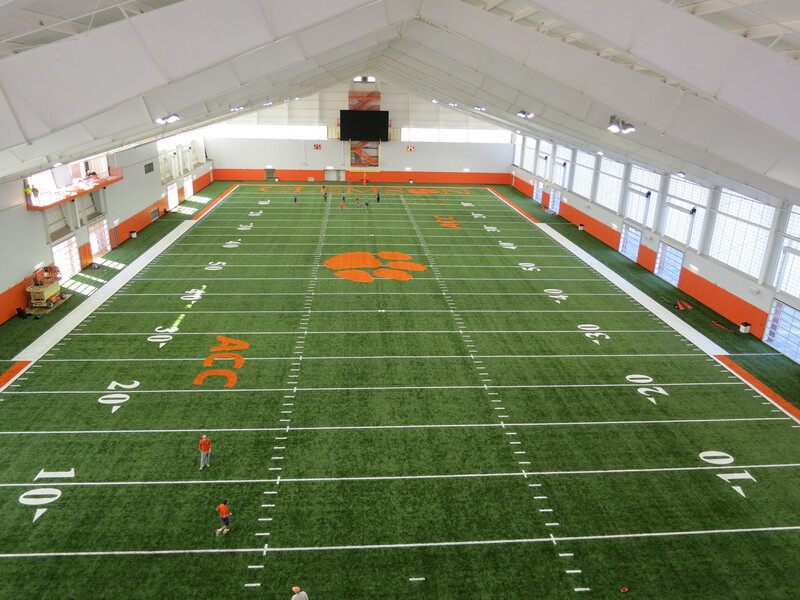 Sherman Construction delivered the “WOW!” factor in Clemson Universities new 80,000 SF Indoor Football Practice Facility. 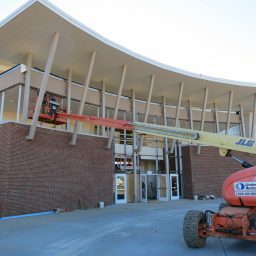 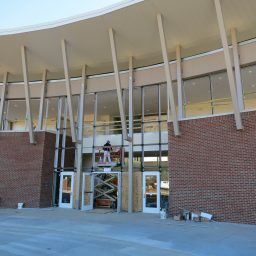 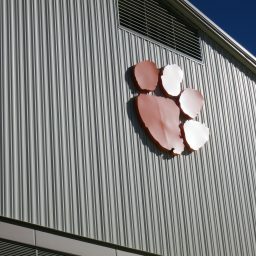 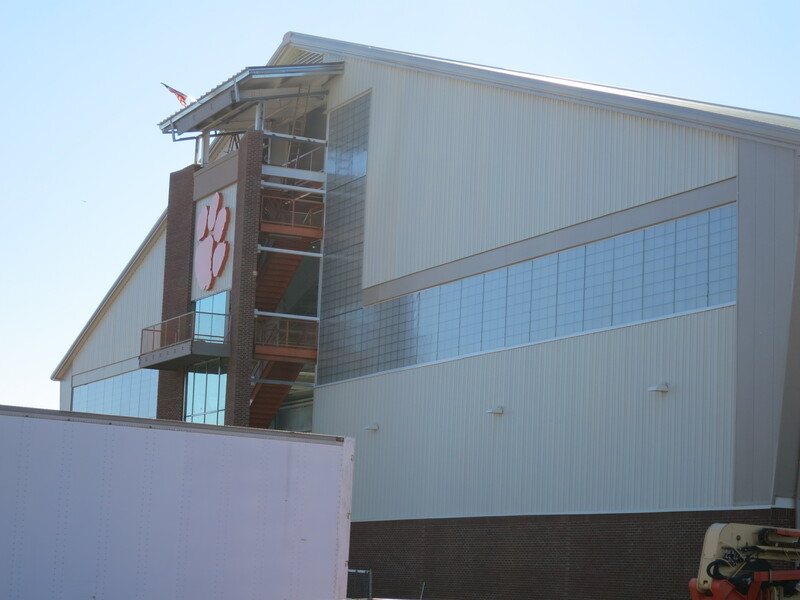 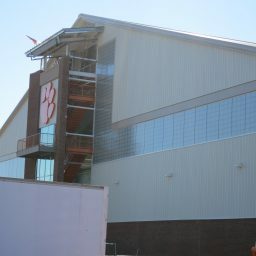 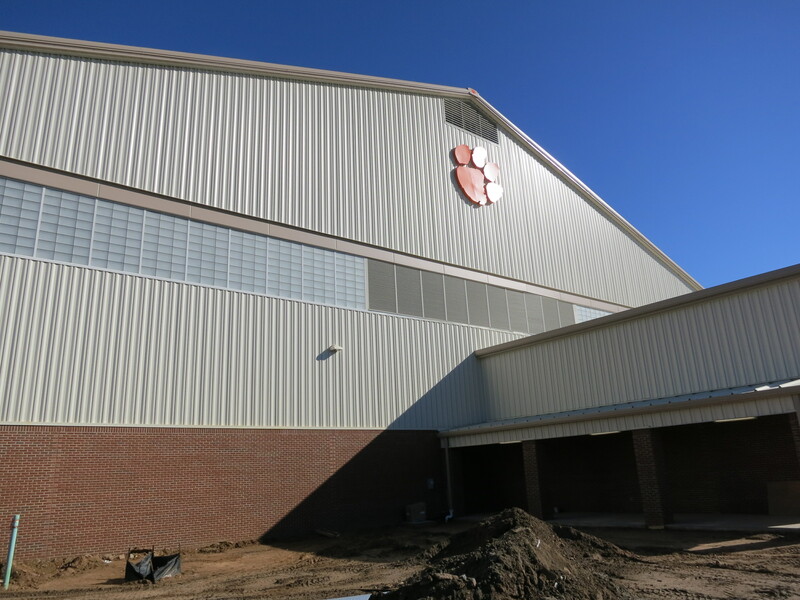 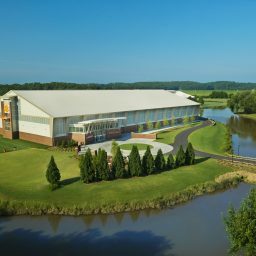 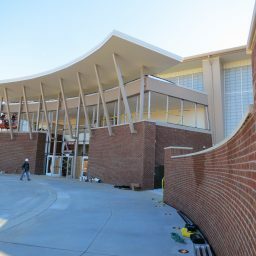 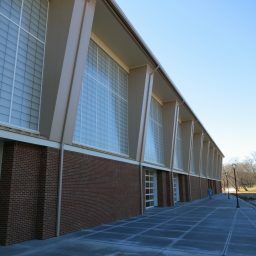 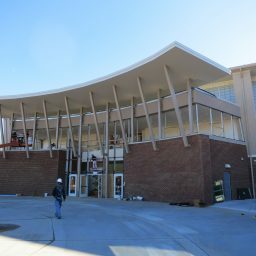 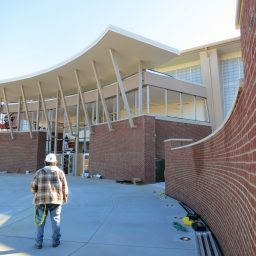 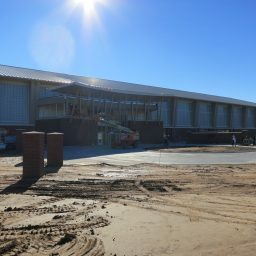 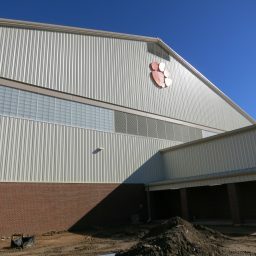 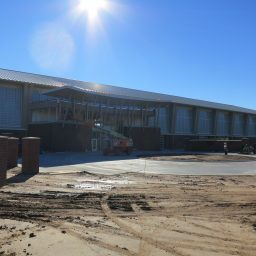 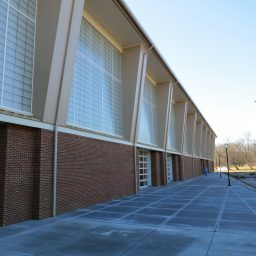 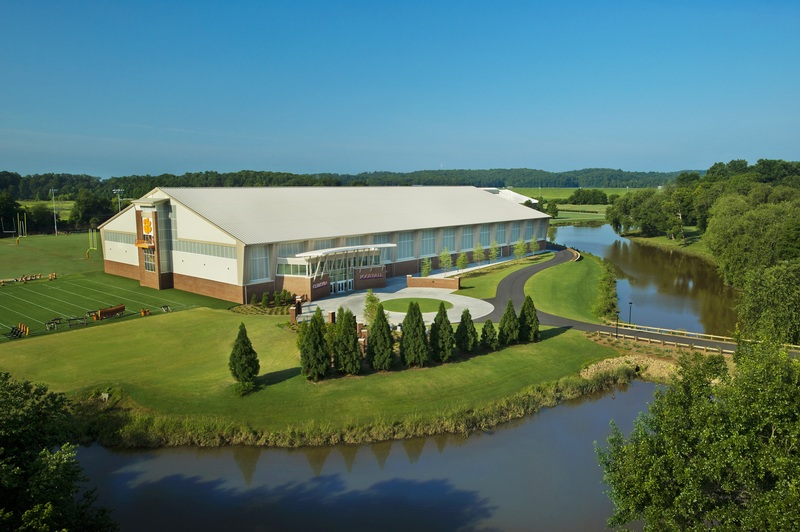 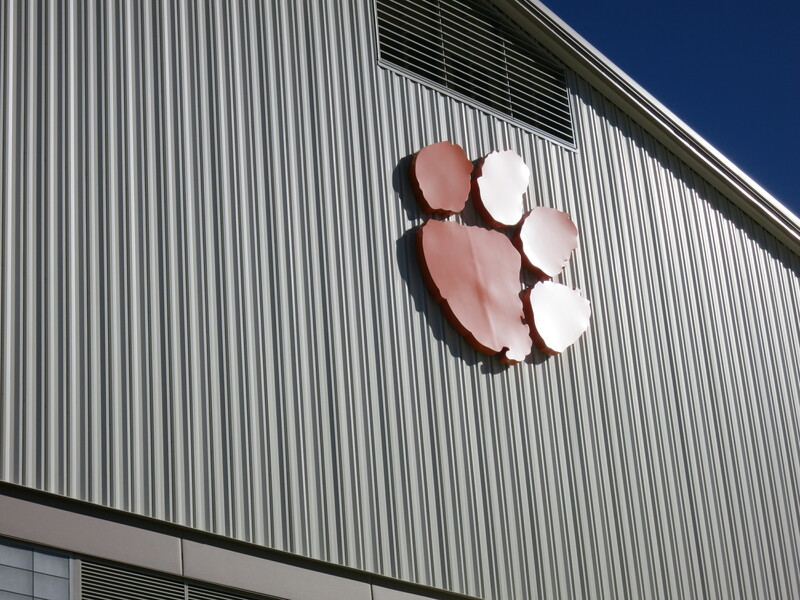 Clemson University selected Sherman Construction to provide design and construction services for the new Indoor Football Practice Facility in late December 2011. 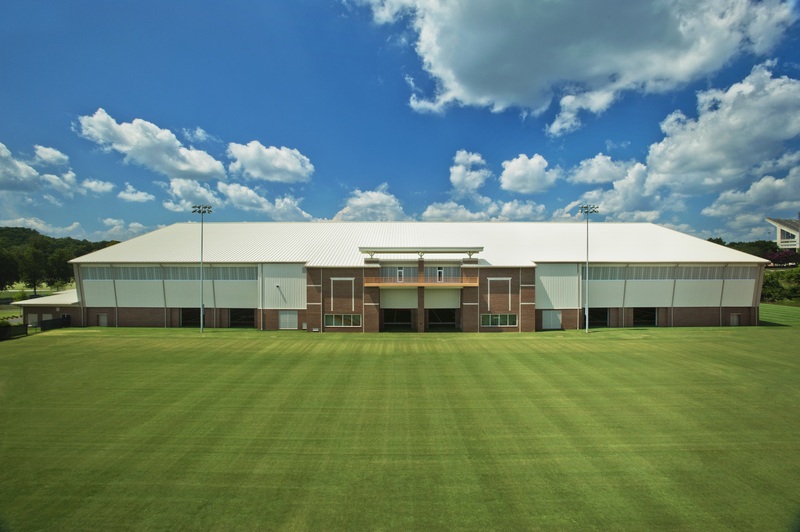 With our team partner, Infinity Architecture , Sherman Construction delivered complete design and construction on-budget and on-schedule, having the turn-key project delivered in a single year and in time for the 2012 New Year’s Chick-fil-A Bowl preparation. 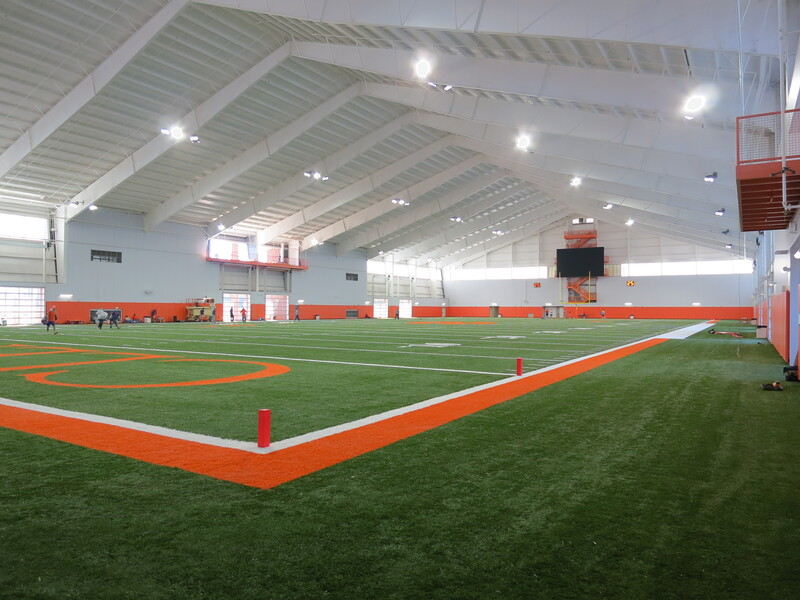 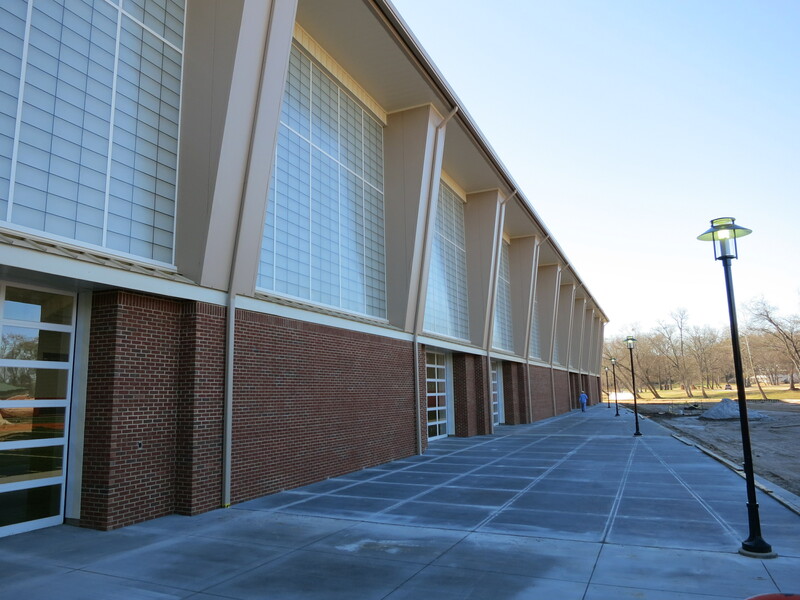 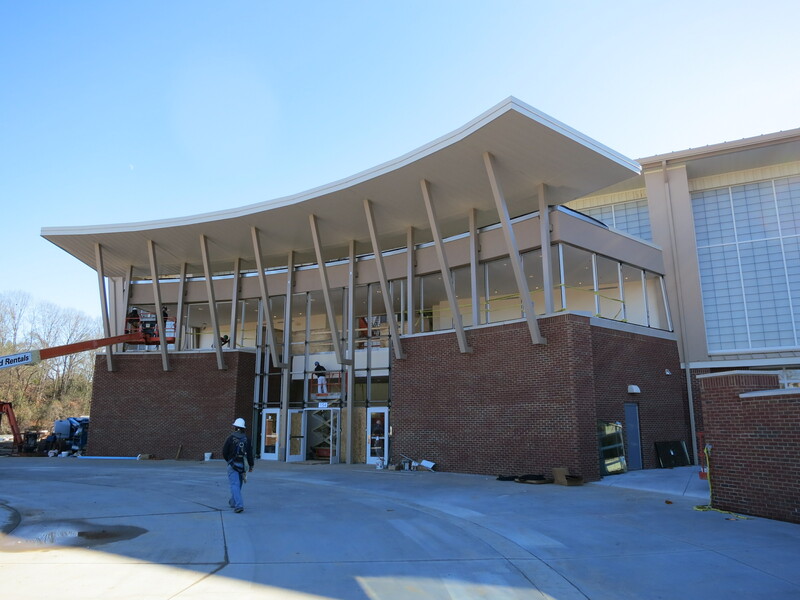 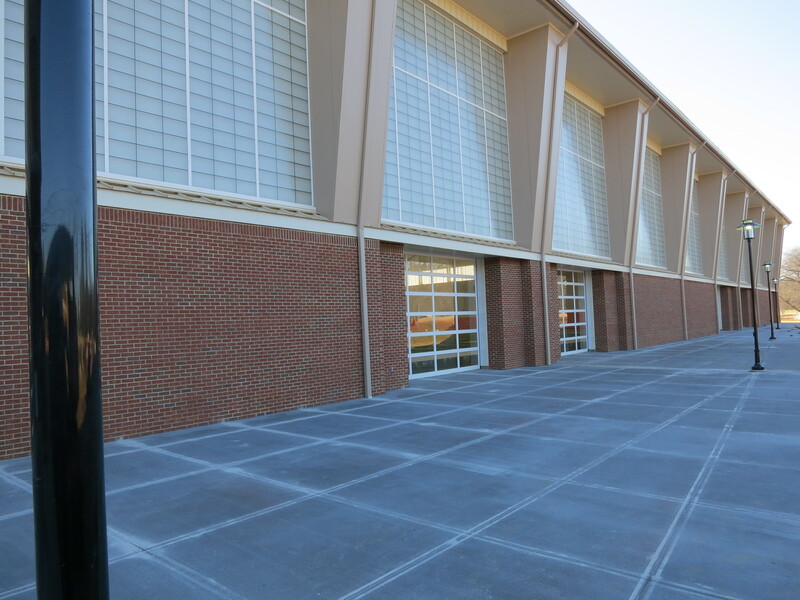 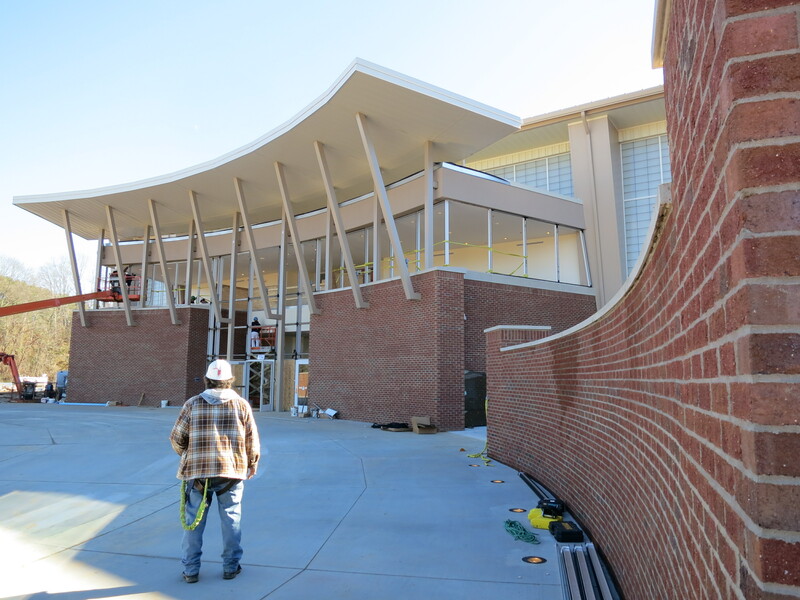 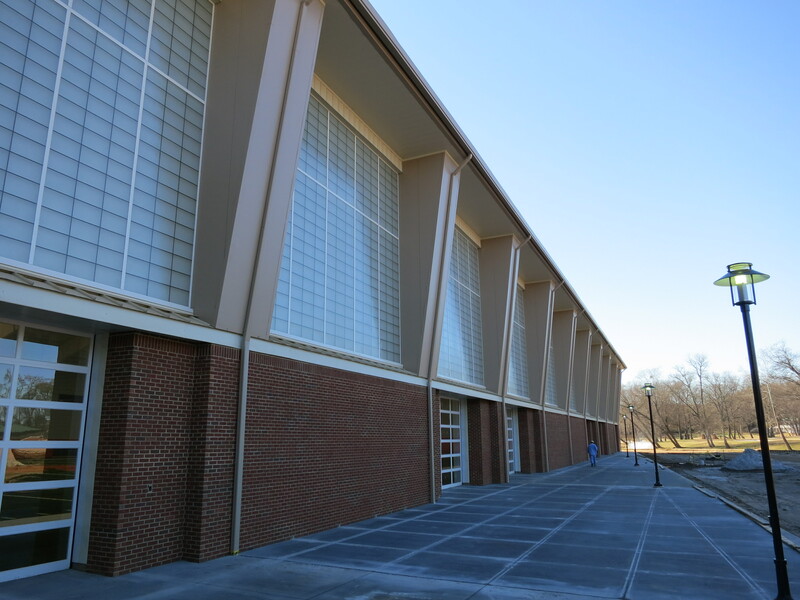 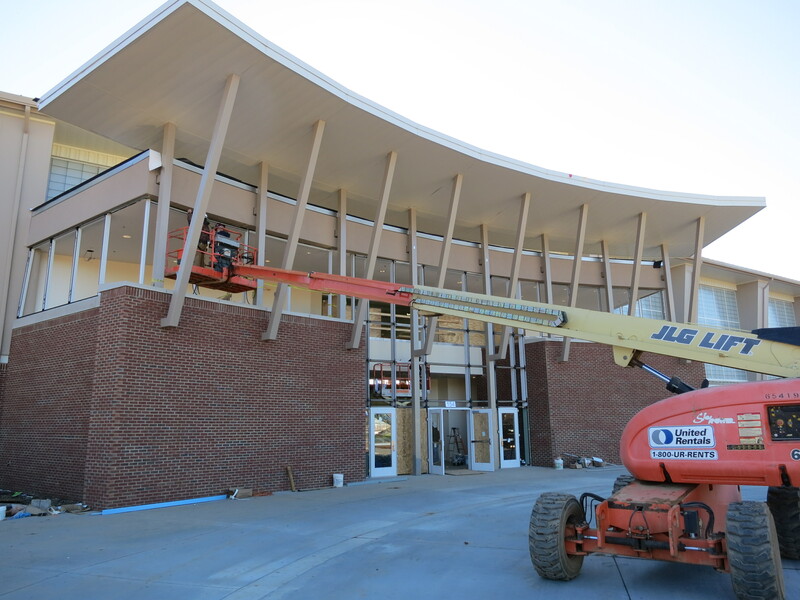 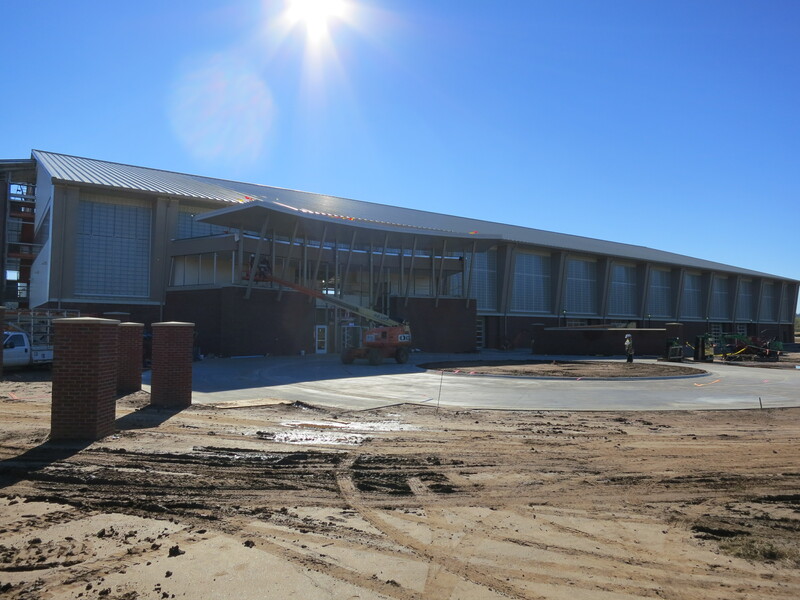 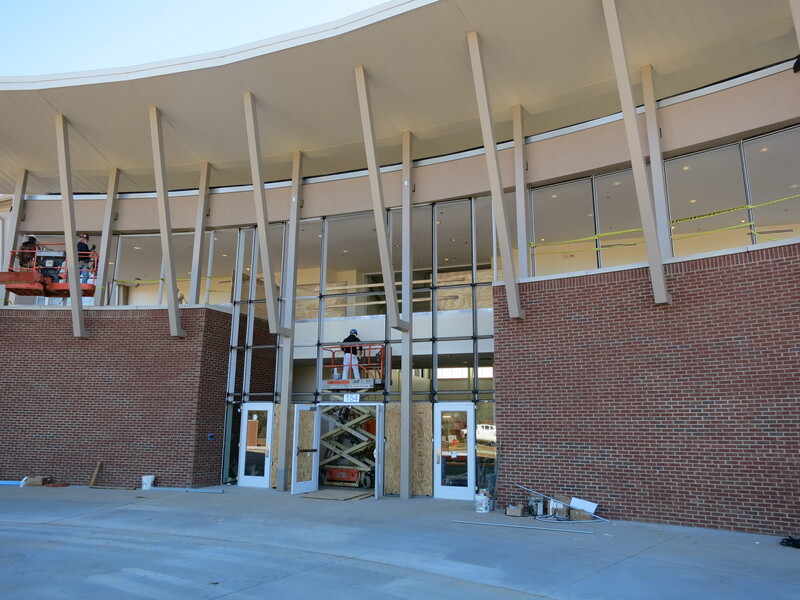 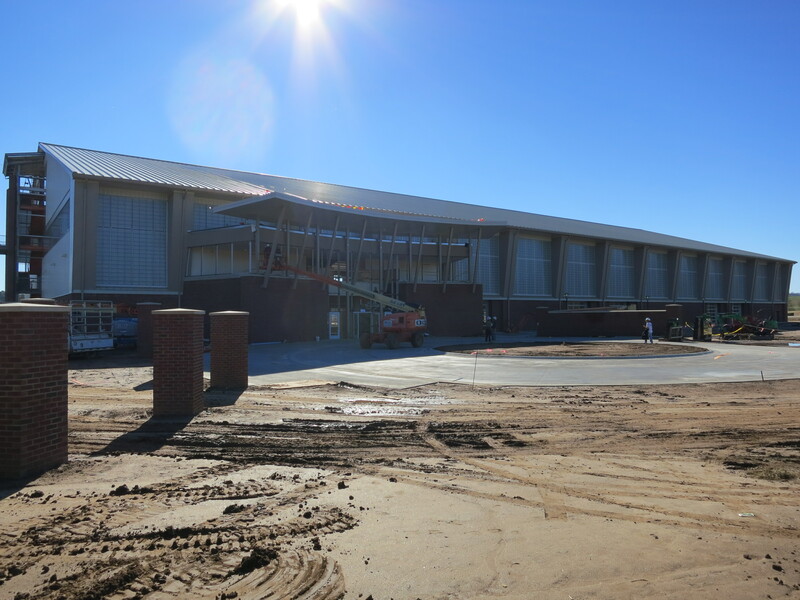 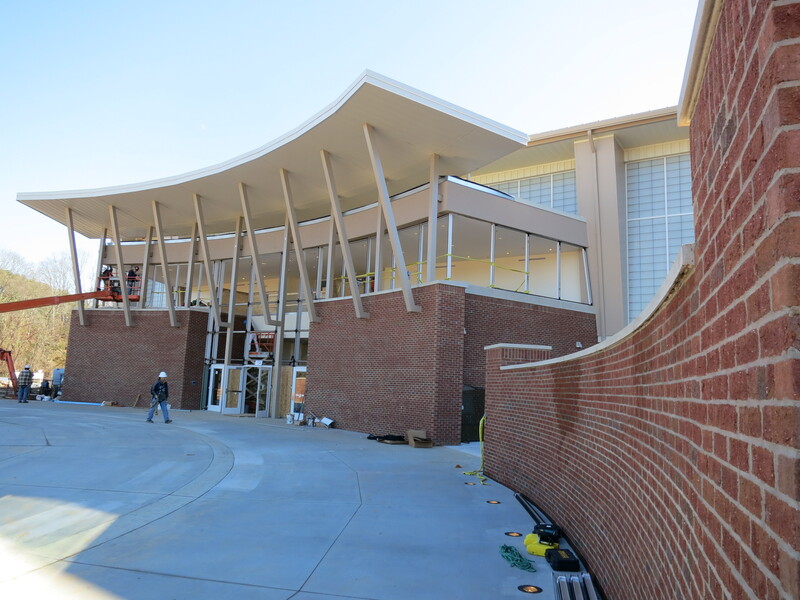 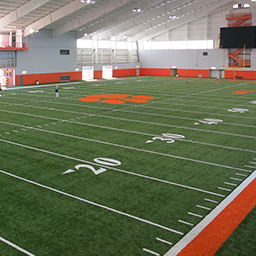 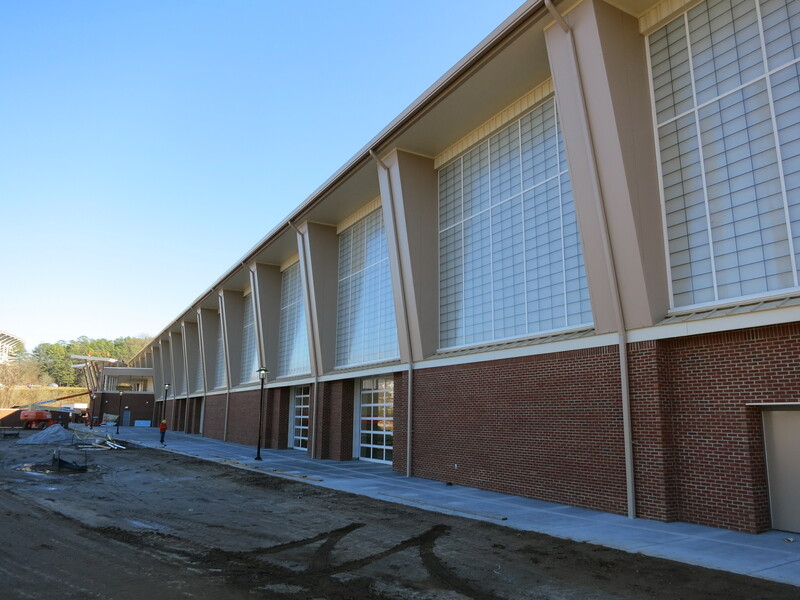 The core indoor football facility measures 410′ x 210′ and houses a full sized regulation NCAA football practice field. 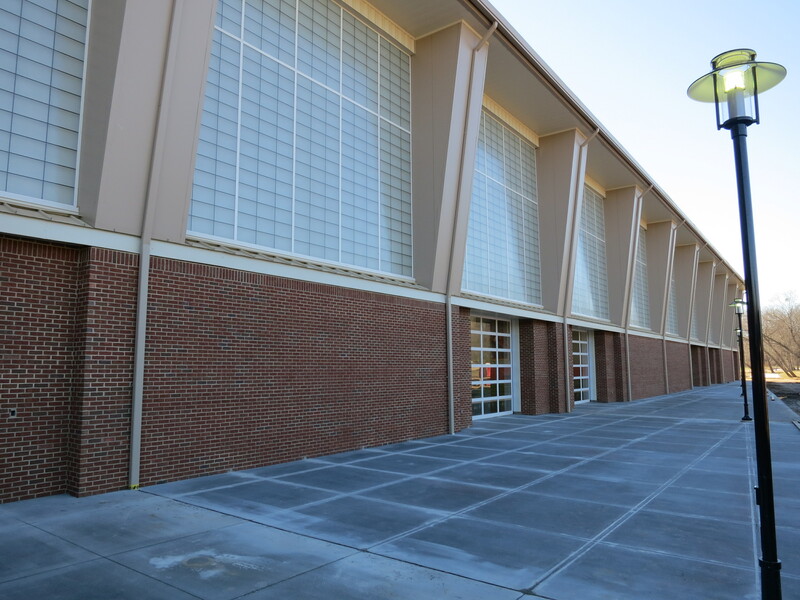 We utilized a pre-engineered metal building with brick and metal panels, translucent wall panels around the perimeter of the building to maximize natural lighting. 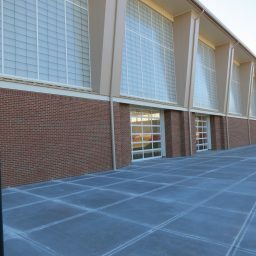 Eleven 16′-0″ wide overhead doors around the building perimeter will allow for easy movement from indoors to outdoors, as well as provide for excellent natural cross ventilation of the facility. 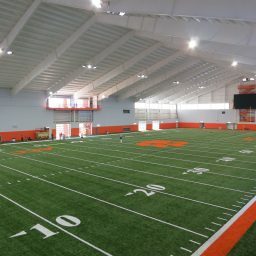 Other support spaces in the facility include a training room, restrooms, storage, AV, mechanical and electrical rooms. 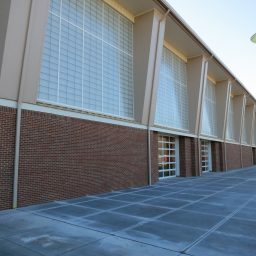 The facility also has two filiming towers at 55′-0″ above the field and a center platform that allows both interior and exterior viewing.